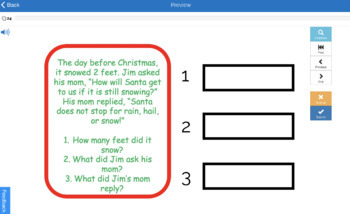 Thank you for your interest in my TpT product. 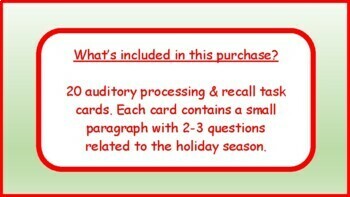 Within this download, you will have access to 20 auditory processing and recall task cards related to winter/holiday season. 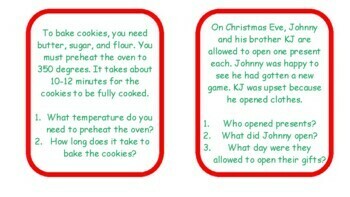 Each card contains a short paragraph with 2-3 questions relating to specific details. 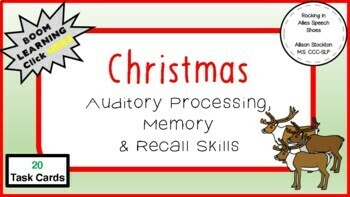 The students must focus on processing and recalling the details asked. You will have access to 1 reinforcement game.